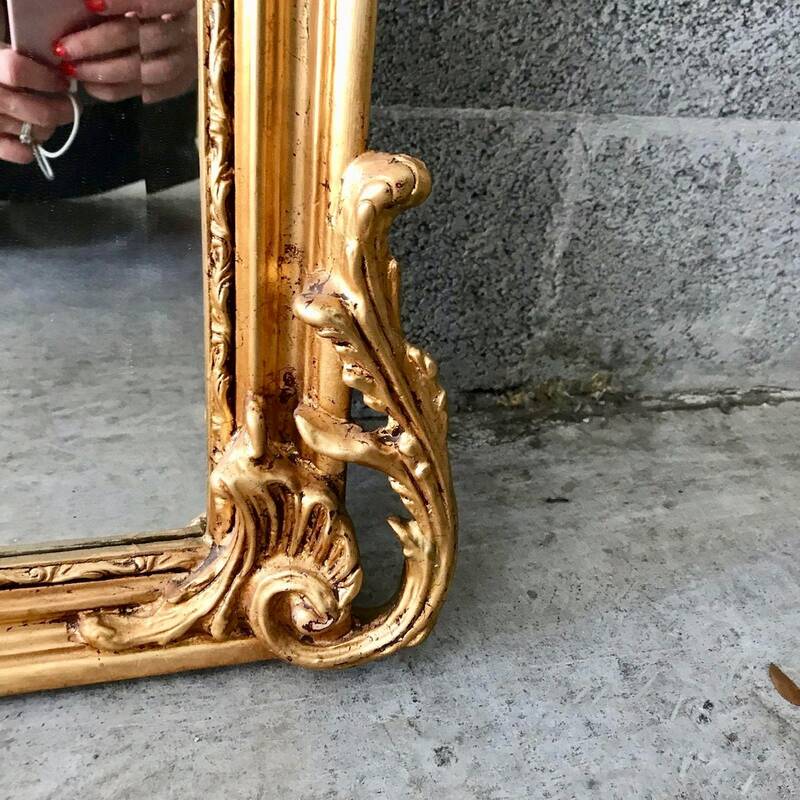 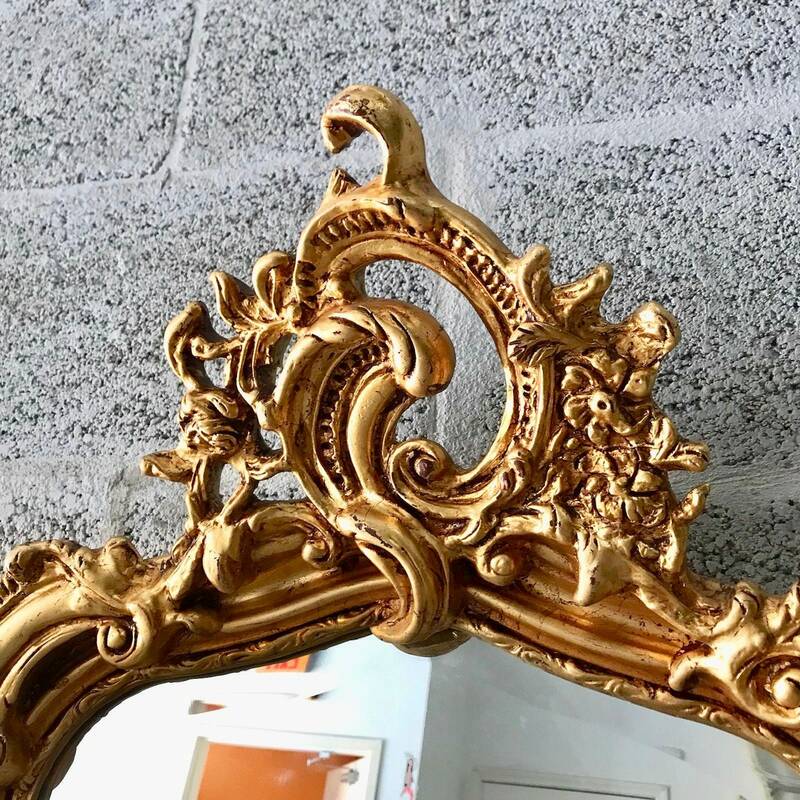 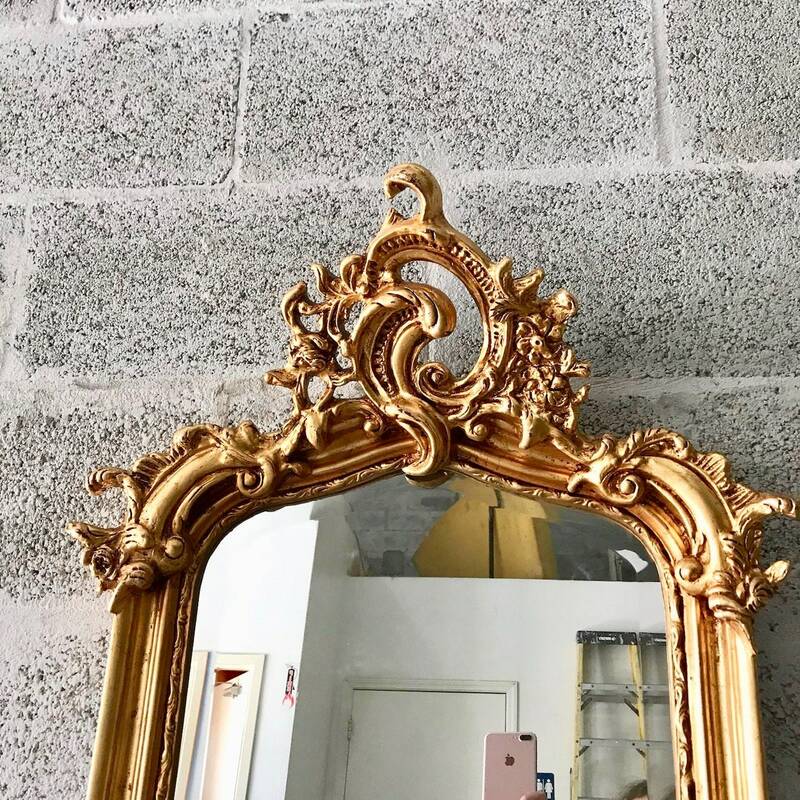 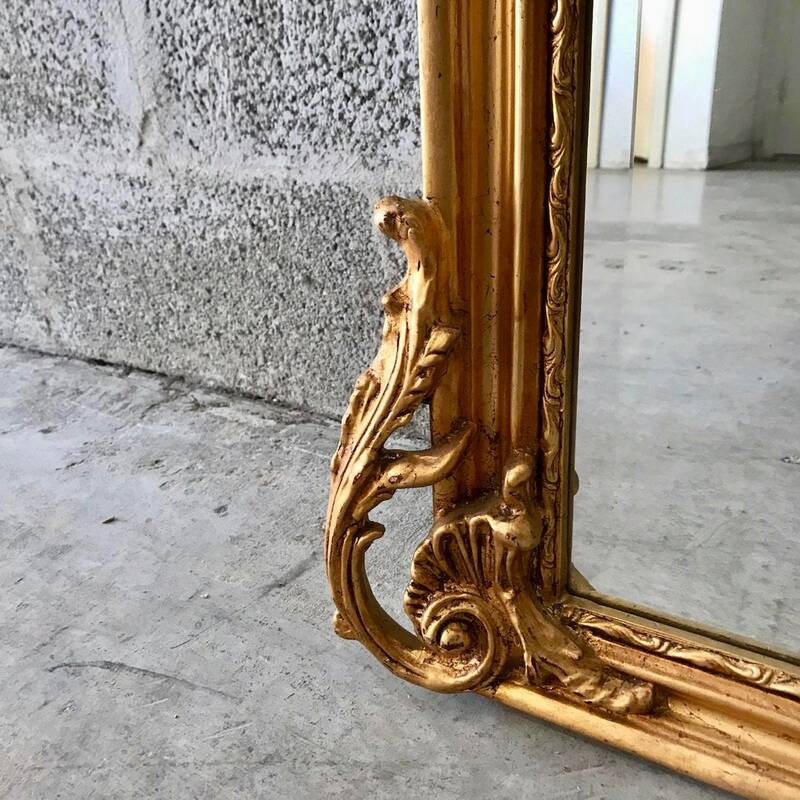 Lovely French Wall Mirror fully refinished in gold leaf. 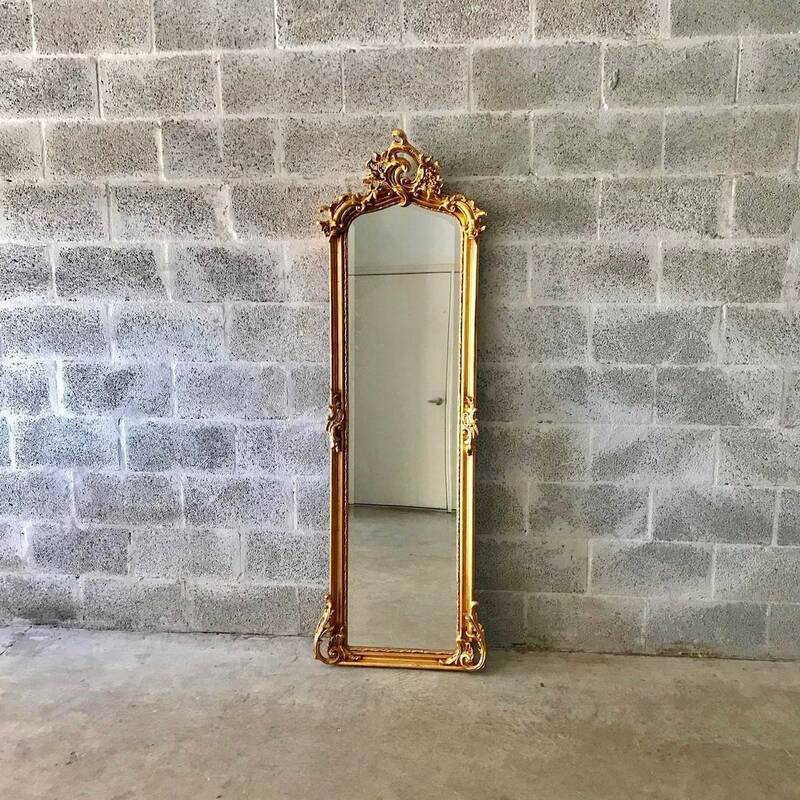 This mirror can be hung or it can also be used as a floor mirror. 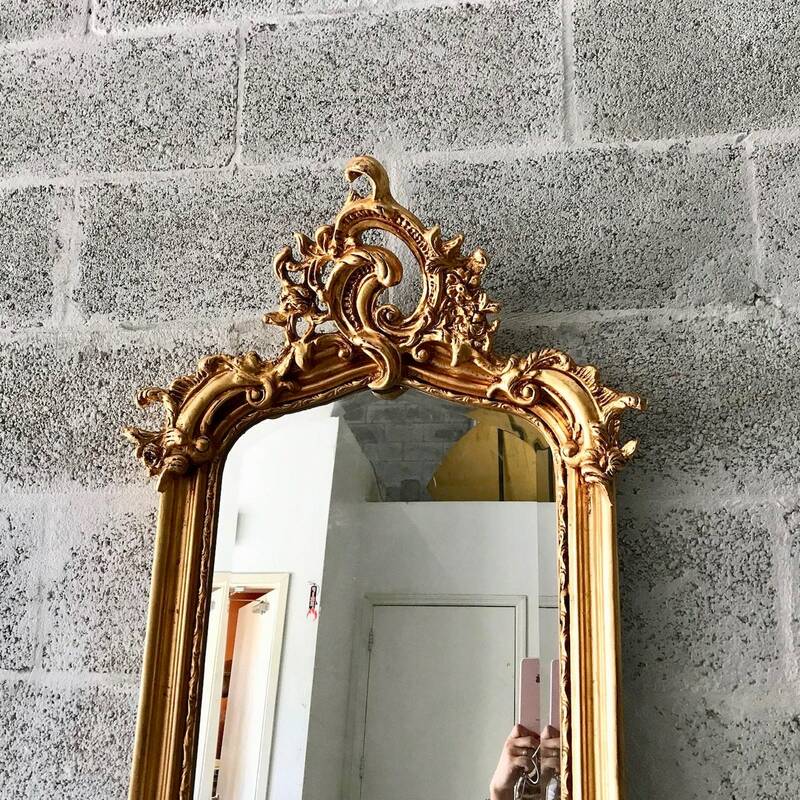 This mirror is almost 6 feet tall measuring 70"H x 22"W x 4"D.